“Santa Claus, I want these gifts, please!” If only I could be that little girl again who eagerly waits for Christmas mornings so I can finally open Santa’s gifts. Christmas will definitely be more memorable with these fun and unique gift ideas from The Mind Museum. Your inaanaks, pamangkins and even friends will be very happy to receive these presents from their geek but cool Ninang/Tita/Kumare! What are you waiting for? Match these wonderful items to your Christmas master gift list now! I ranked the list sent by The Mind Museum based on my Christmas gift list and shared some tips and own wishes too. I hope to give these gifts to my inaanaks or pamangkins this Christmas or any day of the year. Araw-araw dapat Pasko, di ba? Nanay’s Tip: The best gift for me is to experience and enjoy all the fun learning activities at The Mind Museum. Nanay’s Tip: Who doesn’t want UNLI offers? Kids (and adults too!) will never get tired of exploring and discovering the wonders of science. Nanay’s Wish: I hope our students from Hapilan Daycare Center can have the opportunity to experience this TMM sponsored trip. Hapilan Daycare students are children of scavengers in Tondo, Manila. A trip to the museum will definitely be a highlight of their early education and hopefully help shape big dreams in their young hearts and minds. 4. Name the Stars after Your Loved Ones: Do you know that you can literally leave your mark in The Mind Museum by naming one of their virtual exhibits? You can leave your names or your loved ones’ on digital exhibits found in the different galleries in the Museum, through a fixed donation that come with e-certificates. Imagine the delight of seeing your family’s name imprinted on the virtual stars that make up a constellation, or name a specific kind of dinosaur that inhabits a virtual era in history. What’s more heart-warming is that all proceeds for this program go to supporting the institutions’ project of giving free museum visits to public school kids. Nanay’s Wish: A Rio constellation for my little star! 5. Own the Universe: While kids are taking baby steps towards their dreams, you can show them the momentary short-cut in seizing the universe, literally, through the Star Planetarium! Projecting 3D stars, planets, and constellations, this amazing contraption also includes 3D glasses for a more mesmerizing virtual representation of what’s above and beyond the world we’re living in. Nanay’s Wish: Shoutout to Rio’s ninangs and ninongs! Living in the city (crowded urban community for us) definitely limits Rio’s night sky view. 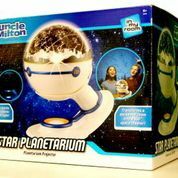 This gift will dazzle my son’s imagination and lead him to study the limitless wonders of the universe. 6. 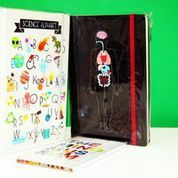 Of Puzzles, Papers, and Pencils: Instead of those tired old notebooks or planners, try giving the young ones (or even your family and friends) these funky Human Anatomy Notebook and Science Alphabet Notebook! They’re, indeed, a safe space for random thoughts, important lists, or mind babbles. Here’s a tip: pair these notebooks with Puzzle Color Pencils and let its colorful tips become their wand to create their DIY-diary. Nanay’s Tip: Look into your inaanak or barkada list and you will be surprised that there is always a perfect match for this “scientific” notebook! 7. If these shirts could talk: Let your friends “wear their wit” with these design shirts that are exclusively available in The Mind Museum Store! These shirts come in different colors and are tastefully designed with vibrant graphics and statements that will truly make science a cool fashion statement of choice this holiday season. Nanay’s Wish: My geek but cool inaanak or pamangkin will definitely love these shirts. TMM’s creative artists added that geeky touch from the common I Love shirt design with that heart anatomy print. Very cool! 8. 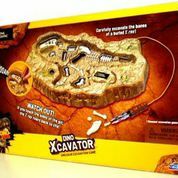 Unearthing the Dinos: Be a paleontologist and travel back to the era of dinosaurs with the special edition of Dino Excavation Kit. Dig for the bones hidden in the gypsum block, assemble them and enjoy your very own miniature dinosaur skeleton replica. Top it off by learning more about the fossils you have just uncovered. Nanay’s Wish: My friend’s kids are totally hooked on dinosaurs! This Dino Excavation Kit will be their best companion in digging the earth’s past. 9.Tricks and Treats: Put a little ease and fun in teaching kids using playing cards that are exclusively sold at The Mind Museum store. You can either get What’s GNU?—a 3-letter learning game deck or go for a game of speed and visual tricks with Hyperswipe! Grab these cards now, be the learning and game master at the same time, and let the enlivening game itself, too, serve as an added gift to these kids! Nanay’s Tip: These games can spell a difference to your Sunday family bonding activities! 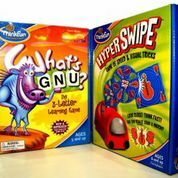 Move over charades and let the new What’s GNU and Hyperswipe games begin! 10. 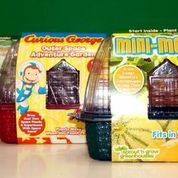 Build Your Own, Learn on Your Own: Teach your young ones the basics of gardening, without having to worry about landscaping your backyard, with these innovative plant miniatures! You can either let them grow the Sweet Leaf, which grows leaves that be used as a natural substitute for sugar; the Mini-Melons that will actually produce sweet mini cantaloupes in less than 2 months; or get really out-of-this-word with the Curious George Outer Space Adventure Garden that will even allow them to experiment right in their mini pots! Nanay’s Wish: These plant miniatures will definitely help us work on simple science activities in our homeschooling next year. We want the Mini-Melons! Share the love! Merry Christmas to all! I write about my journey and reflections as a mother, blogger and social activist. 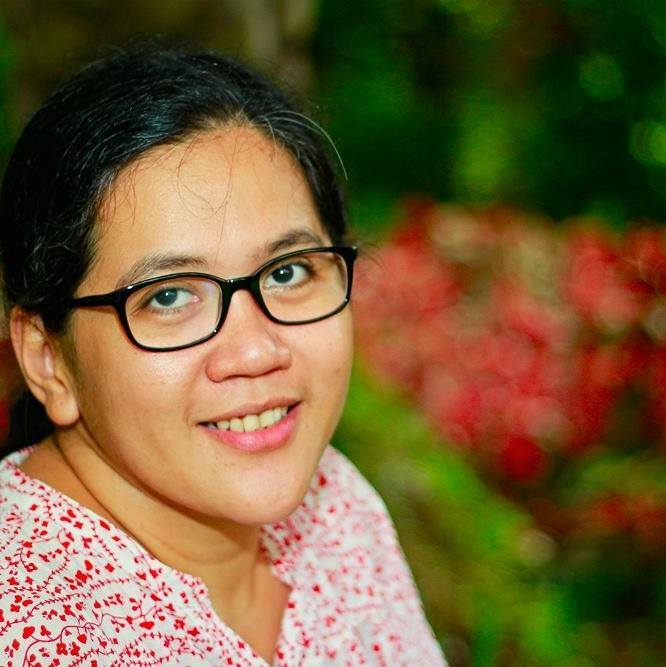 I am passionate to learn more about homeschooling, Filipino children's literature and social media as a tool for advocacy and change. I also find time to co-manage Maestro Rio Shop, a small digital printing business. What type of planner are you? Happy 2018!